These days, it seems as if everyone's looking for the legendary sound and dynamics of the original “Patent Applied For” pickups. Utilizing Larry DiMarzio's 1959 Cherry Sunburst Les Paul® for reference, DiMarzio used the same materials as 1959, gifted ears, and decades of winding experience to create the new PAF® 59 pickups. 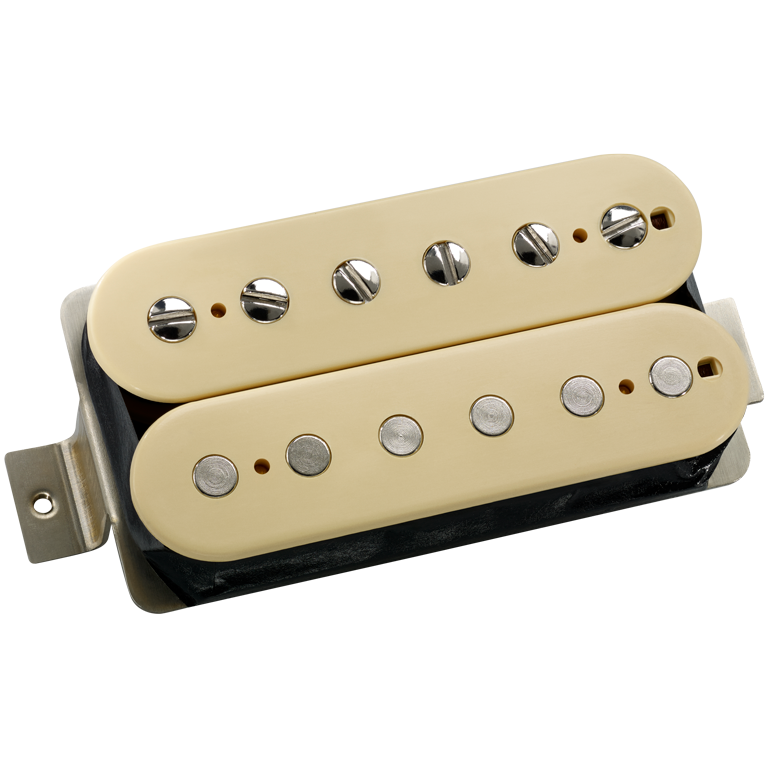 Larry says the PAF® 59 Neck and Bridge models were built following an “old family recipe.” We started with a 2-½-inch degaussed Alnico 5 magnet. The 42 AWG enamel wire coils are un-dipped and scatter wound. They're tuned to capture the guitar's voice and dynamics without coloring it. The PAF® 59 Neck and Bridge models feature Double Cream™ butyrate bobbins on our long-leg nickel/silver base plate just like the originals. They are also available with black or black & cream butyrate bobbins. The PAF® 59 Neck model is very responsive, and harmonics leap out. Combined with the PAF® 59 Bridge model, it's got that smooth, overdriven, classic arena rock sound. 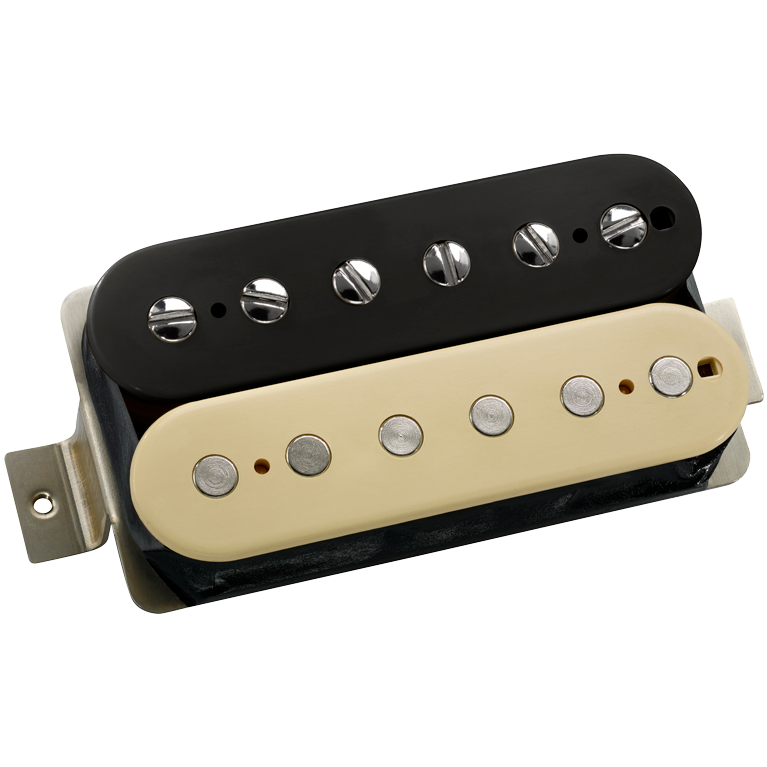 Combine with the PAF® 59 Bridge for the full vintage experience. Neck. 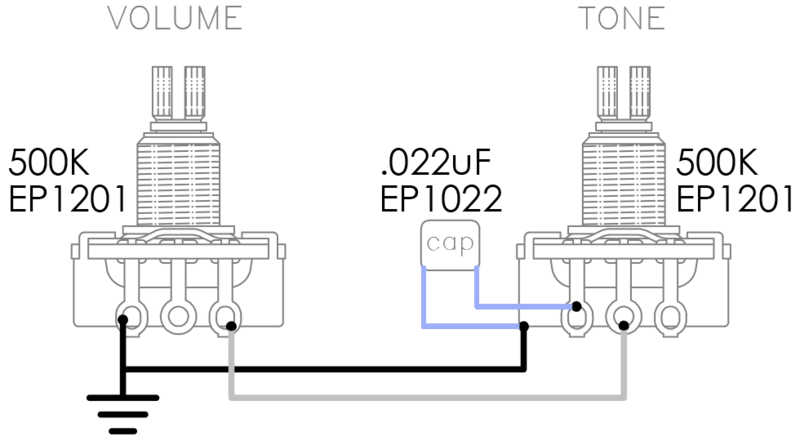 Can also be used in the bridge position.